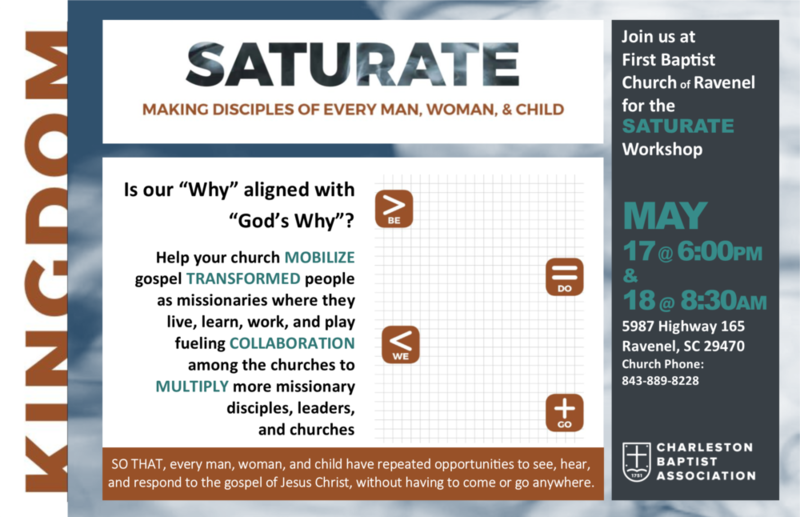 Join us for the St. Paul Cluster Saturate Workshop at the First Baptist Church of Ravenel. During these two 4-hour work sessions we will cover the principles of how to help your church be on mission to your community building on the principles of Movement, Kingdom, Harvest, Disciple. Dinner on Friday and Lunch on Saturday will be provided. Please register to enable us to prepare to serve you better.